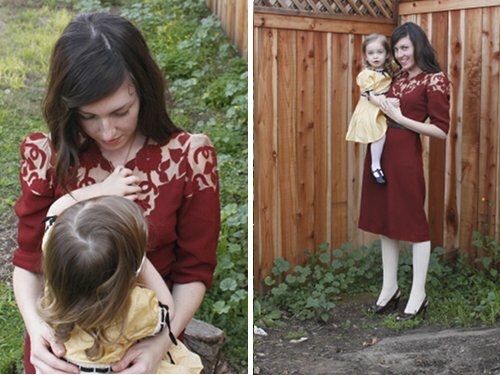 Ruby and I were invited to do a "vintage mama" post on the blogs of two very lovely ladies, Rubyellen of My Cakies and Rachel from Smile and Wave. 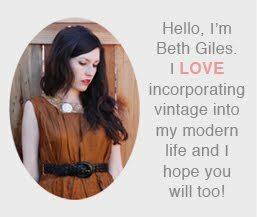 We did an interview about where we find the best vintage and a little photo shoot to go along with it. I sent my favorite photos to the girls for their post, but I thought I'd share some of the others and the out takes here. It's actually perfect timing because my "baby" Ruby turns two today. I absolutely can't believe how big she is getting. She has the most beautiful personality and she brings me more joy in one smile than I ever experienced before I had her. Thank you for making my life full Ruby, I look forward to all that you will become! i commented over there too, but that dress is really to die for beth! and i love the sweet picture of you snuggling with ruby sucking her thumb. i love this feature. Oh, Beth, the two of you look so beautiful together. 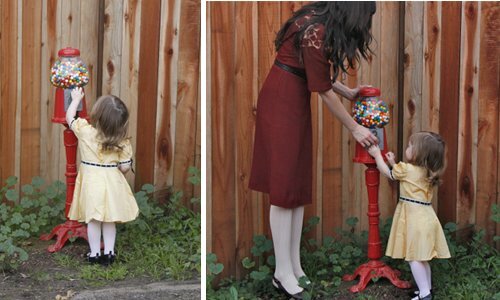 Very cute dresses. I love the knit hat. happy birthday little ruby! 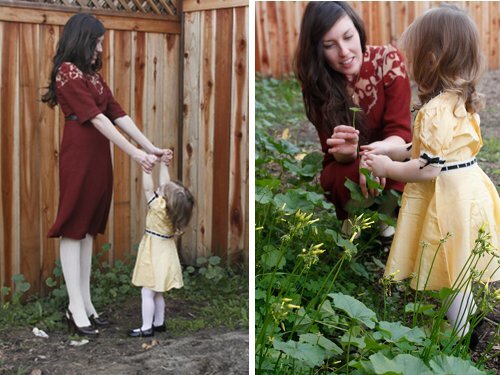 and for your mama, just go for the second (this is coming from one whose first two are 15 months apart, not planned)! it really isn't that bad! ;) you heart gets even bigger and there is double the joy!